Users’ twice-weekly visits to the Centre foster important social network opportunities for many individuals who would otherwise be confined at home with only daytime television for company. 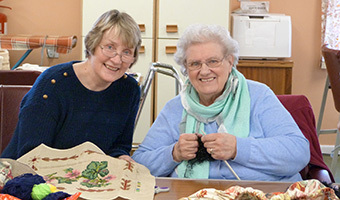 Our range of activities, which include chair caning, knitting, quilting, basket making, sewing and other crafts, is tailored to suit the abilities and mood of each person. 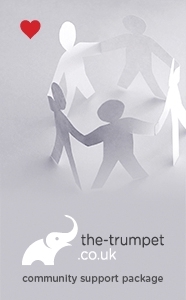 All activities are supervised and supported by a wonderful team of experienced and dedicated long-serving volunteers. Handiwork is then sold from the Centre at our annual sale or, occasionally, through other organisations and events. In addition to the recreational activities on offer, there are lunches and outings and a special celebratory meal at Christmas. 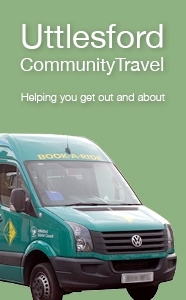 We work in collaboration with Uttlesford Community Travel to ensure the Centre is accessible to all. The Friends of the Centre are valued local individuals whose generous donations keep us running - to become a Friend, please click the link opposite to download the form. Our Centre is also available for hire and makes an excellent value venue for functions and business meetings. Click the link below to get in touch and find out more.